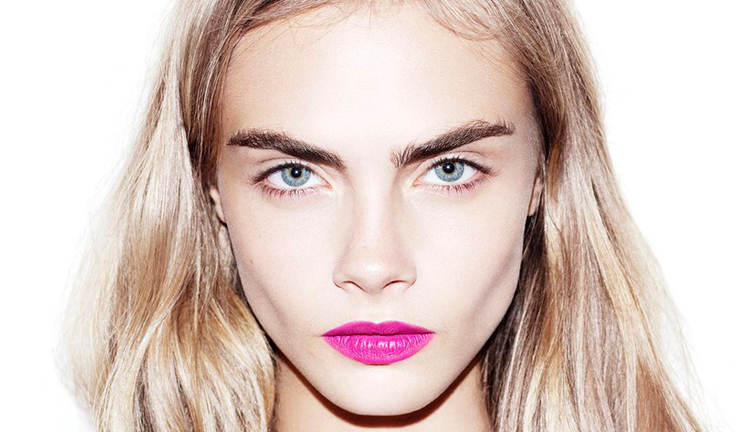 Everyone wants Cara Delevingne brows, even Vogue, who bestowed the British supermodel’s as one of the best in history. Learn how to create strong face-framing brows of your own at home with these easy-to-follow tips and tricks from brow expert Umbreen Sheikh, founder of Wink Brow Bar in New York City. Start off with a guideline. I recommend going to a brow specialist in your area or your favorite cosmetics counter to mark up your official brow lines. They will help to measure the shape of your natural brow which will then act as your dotted line to maintaining the shape. Once the shape is complete, follow the guidelines to fill in brows and extend the natural lines. Be mindful to those “stray” hairs that fall within the dotted lines because yes, it may look like a “stray”, but if its within the natural lines, it belongs there. Put the Tweezer down! Create a shadow behind the hairs by using a brow powder to create the appearance of thick and bold brows. Brow powders are easiest for beginners because you can build up the color, versus drawing it on. Try out the Wink Brows to Go Quad that includes a contour shade, an overall fill in shade, a highlighter and a brow wax. Leave the brow pencil to the professional because harsh filling in can age you dramatically. Finally, finish off with a brow wax. Consider this “hairspray” for your brows to keep them in place all day long. This brow wax helps hold down hairs and push them closer to the skin, resulting in the appearance of thicker, more full, brows.